I came back from winter break with a slight sunburn and dry, tough skin. 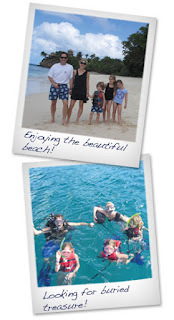 (Yes, shame on me, it is a long story about being stranded without shoes, money or sunscreen on an island with three kids.) 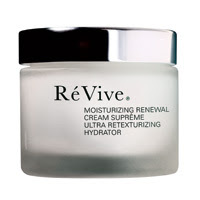 Waiting for me on my desk was Revive’s new Moisturizing Renewal Cream Supreme Ultra Retexturizing Hydrator. Now honestly, I would buy this just on the name. (Just kidding!) The truth is, after one night, my skin is smooth, hydrated and glowing. The cream has a rich, whipped texture and a delicious soft orange scent. I am in love. . .